15 May: Bristol Patient Safety Conference. Venue Engineers House, Bristol. 16-19 June: 6th International Conference on Bio-Sensing Technology, Kuala Lumpur, Malaysia. Organised by Elsevier and IBST. 10 July - 6-8.30pm Networking Event at Bristol Zoo - details to follow soon. 25 & 26 September: Sensing in Water 2019. Nottingham Belfry. Organised by SWIG. IBST is a member of Medilink South West, the region’s life science industry network. IBST is a member of the Health & Life Sciences Sector Group. 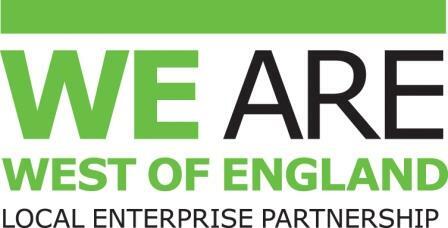 Our purpose is to engage with local life sciences, health and social care organisations to explore areas that could be developed to promote the health and life sciences business sector in the West of England LEP region. Stay connected - If you would like to keep up to date with the latest IBST news and receive information about the latest technologies and opportunities, including funding programmes, conferences and events, please email us to subscribe to IBST's free e-newsletter and e-alerts. You can also follow us on Twitter. Tell us your news - To submit your own news item, please email us with details. Getting dirty can be a real drag, especially if you are an aircraft wing. This is because as dirt accumulates on the outside of an aircraft the extra friction causes increased fuel consumption. Up until now it’s been hard to easily detect when this build-up of dirt has become a problem, so often planes are not at their most aerodynamically efficient between routine washes. To solve this, a partnership between the University of the West of England and Bristol-based concept design firm Intercede Ventures has developed a sensor using lasers, light beams and mirrors that can detect how clean an aeroplane is and therefore help major airlines reduce their carbon footprints. Graham Mimms, Director of Intercede, said: “A clean aircraft is a more efficient aircraft but that’s not always been too easy to prove. We thought ‘If we can prove it, airlines would keep them clean and efficient’ and as a result more environmentally friendly.” And that proof is here: it is estimated that airlines using the instrument to direct cleaning crews to problem areas could cut their fuel bills by as much as 1%. This may not sound like much, but across a major fleet will be a considerable saving. A research team from the University of the West of England (UWE Bristol) and the University of Liverpool has reached an important milestone towards creating a urine diagnostic test for prostate cancer that could mean that invasive diagnostic procedures that men currently undergo eventually become a thing of the past. 'The use of a gas chromatography (GC)-sensor system combined with advanced statistical methods towards the diagnosis of urological malignancies', published today in the Journal of Breath Research describes a diagnostic test using a special tool to 'smell' the cancer in men's urine. Working in collaboration with the Bristol Urological Institute team atSouthmead Hospital and Bristol Royal Infirmary the pilot study included 155 men presenting to urology clinics. 58 were diagnosed with prostate cancer, 24 with bladder cancer and 73 with haematuria or poor stream without cancer. The results of the pilot study using the GC sensor system indicate that it is able to successfully identify different patterns of volatile compounds that allow classification of urine samples from patients with urological cancers. The research team used a gas chromatography sensor system called Odoreader® that was developed by a team led by Professor Norman Ratcliffe at UWE Bristol and by Professor Probert at Liverpool. The test involves inserting urine samples into the Odoreader® that are then measured using algorithms developed by the research team at the University of Liverpool and UWE Bristol. To view the latest news or to subscribe click here Newsletter for more details. The Institute of Bio-Sensing Technology is delighted to announce that Professor Richard Luxton is the Guest Editor of the Biosensors Special Issue journal, 'Magnetic Biosensors'. This is an Open Access journal allowing unlimited and free access to readers. This Special Issue will be dedicated to promoting the wide range of technologies and devices that employ magnetic detection of magneto-optical effects to detect and quantitate biological targets in a sample or targets in a biological sample. Applications areas include biomedical, diagnostics, environmental analysis, food safety and biosecurity. South West businesses will benefit from £4m of new funding that will lead to new prod ucts, services and jobs, as the University of the West of England (UWE Bristol) relaunches its highly successful Innovation 4 Growth (I4G) programme on 7th September. The scheme part funds research and development projects with grants of between £25,000 and £150,000 (covering up to 35% of total project costs) and is aimed at small and medium-sized enterprises (SMEs) operating in any sector, with a presence in Bristol, Bath, Cornwall, Devon, Dorset, Gloucestershire, Somerset or Wiltshire. Financed through the Regional Growth Fund, the I4G programme aims to support businesses to create new, and safeguard existing, jobs through the development of innovative products, technologies, processes and services. Completed applications must be received no later that 12pm (midday) on Wednesday, 14th October 2015. For more information contact the I4G Team on: innovation4growth@uwe.ac.uk.